Inspired this guide: https://developer.android.com/jetpack/docs/guide I try to build some app with similar architecture. 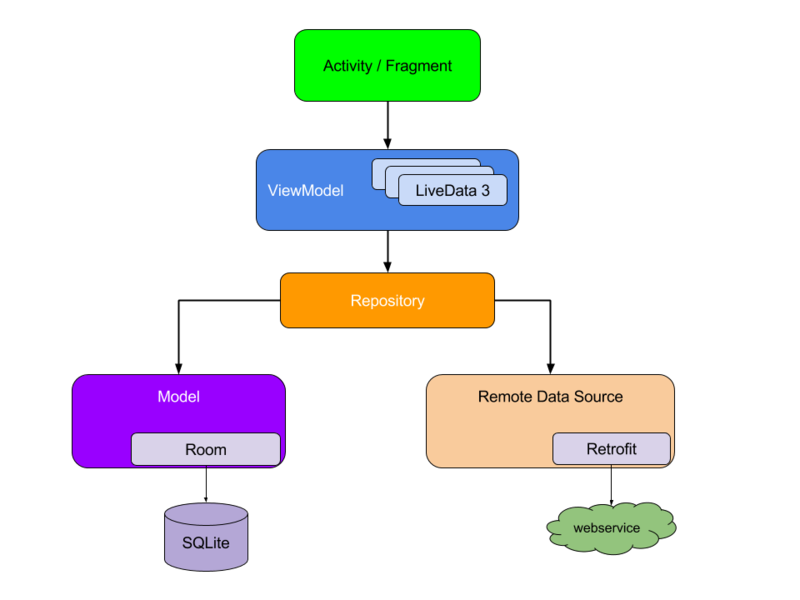 For example, I post here my LoginFragment, LoginViewModel, UserRepository and RemoteDataSource. One bad thing, what I see - repeating code in UserRepository, how I can improve it? Other issue - naming some instance variables with m and other - without (I fix it later). What is good in my code? BonusRepository, BonusVieModel, Bonus model and BonusFragment looks like the very similar on upper code. UPD: it will be great, if you answer cover, how I organize repository/mvvm patterns. Instead of having two separate if statement checks, this can be combined to check the NetworkState as well as call and check getStatus(), checking both conditions with an AND (&&) operator. Be careful regarding white-space. Sometimes I see random newlines in your code. For the sake of readability -- it is beneficial to add newlines to separate parts of your code. But, use them sparingly, don't put newlines in random places where they don't belong, as that breaks the structural uniformity of your code. personally, I and majority of Java developers would recommend the first style. But whatever you decide on going with, sticking to one particular style is the most important thing. When you are writing a larger codebase, it's immensely important to keep structure in your code. Otherwise, reading over parts of the code become more difficult. Please let me know if you have any other questions, or would like more help understanding any part of my answer. Thank you & welcome to the CoderReview community! Not the answer you're looking for? Browse other questions tagged java android mvvm or ask your own question.